100 kilometres on a single charge. The ultimate luxury trike with plenty of power. It features luxurious leather seating for as many as 6 passengers and a driver comfortably, interior lighting and easy access for all passengers via side and rear doors. You can even charge your mobile device. Up to 300 kilometres of range. This workhorse of a Trike is available with either standard lead acid or Lithium batteries. 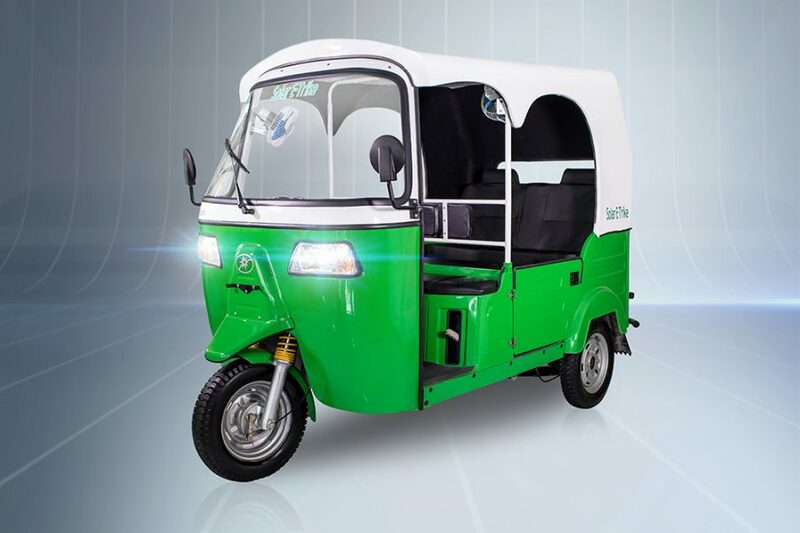 It also includes an optional small combustion engine to generate additional power to recharge batteries and extend travel range up to 300 kms. 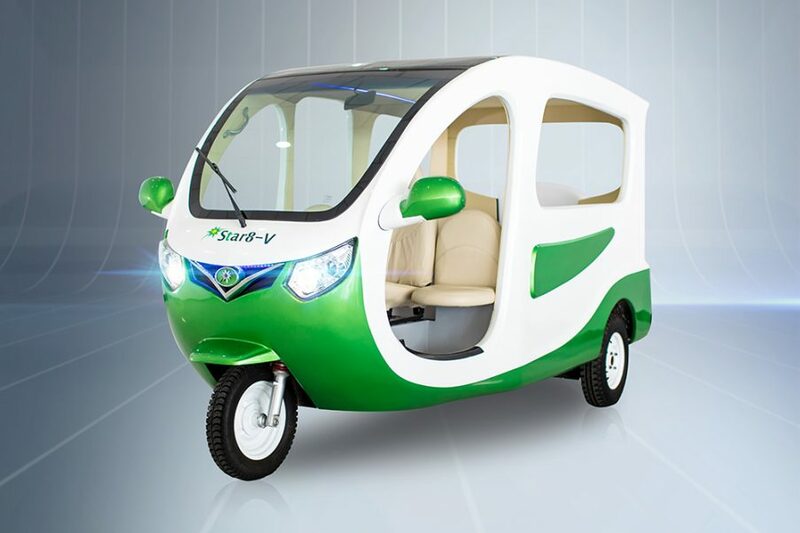 The lithium battery option will increase the standard battery range by an additional 20%. Very powerful and strong. Classics never go out of style. 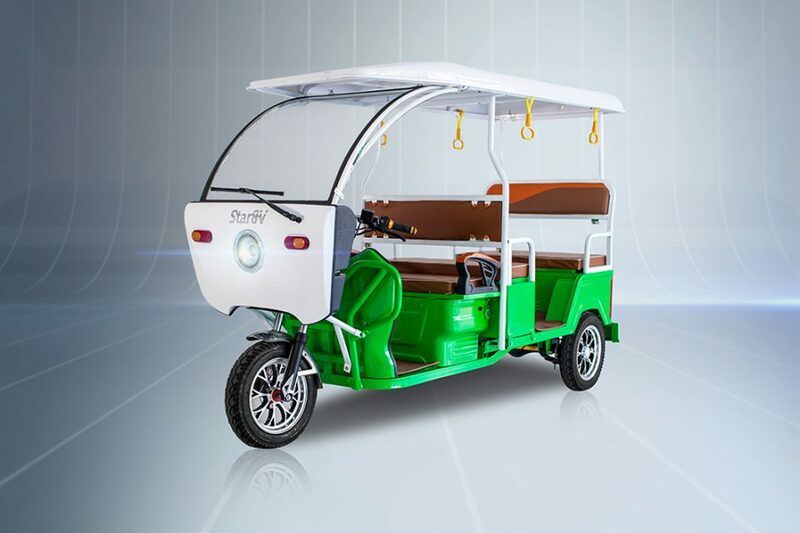 The W5 electric trike represents the next generation of trikes while maintaining the look of the iconic vehicle that has been the mainstay of the public transport system in many Asian cities. Sturdy construction to cope with the rigors of constant use, added protection for the driver with full windscreen and drop down curtains for the passenger.